Premium Bandai has just updated their website with a selection of upcoming releases, offering new official photos & release info. To kick off these postings we have S.H. Monsterarts Showa Mecha Godzilla from the 1974 classic film Godzilla Vs Mechagodzilla! The classic Mecha Godzilla has been demanded for years after the various releases of more recent Mecha G designs. Finally collectors can own the original Toho techno titan! S.H. Monsterarts Showa Mecha Godzilla (1974) will be released in January 2018 for 9720 yen. Be sure to keep an eye out for confirmed north american release info from Bluefin as well. Tamashii Nations 2016: S.H. MonsterArts MechaGodzilla Poster Ver. The reveals just keep on coming at this year’s Tamashii Nations event! Shown off by the hosts themselves via their @T_Features Twitter page, newly revealed is S.H. MonsterArts MechaGodzilla Poster Ver. This reinterpretation of the Heisei era MechaGodzilla is based on poster artwork for the film Godzilla vs MechaGodzilla II, sporting an alternate body as well as a brand new wing-pack. Also attached to this news post is the poster image for comparison. An interesting diversion for the S.H. MonsterArts line! 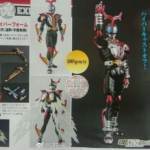 Stay tuned to Tokunation for more info on this figure as it comes. A surprise reveal from last nights Tamashii official image drop was none other than S.H. Monsterarts Super Mecha Godzilla! Long demanded by Godzilla collectors, Super Mecha Godzilla appears to be a pretty complete package. It includes not only an extra pair of hands and a Tamashii Stage, but also the Garuda parts as well as an adapter to mount them! This impressive releases is scheduled for release in March 2017 as a Tamashii Web Exclusive for 10,800 yen. Be sure to visit your favorite Tamashii Web middleman or service in the near future to secure an order for S.H. Monsterarts Super Mecha Godzilla. 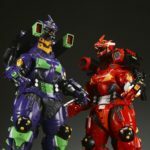 Bandai continue to gear up to the release of Shin Godzilla (aka Godzilla: Resurgence) with yet another entry into the growing collection of Godzilla x Evangelion merchandise. 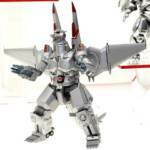 The Premium Bandai web store is now taking preorders for a 30cm Series 2002 MechaGodzilla (also known as ‘Kiryu‘) in Eva Unit 01 (purple) and Unit 02 (red) colours! 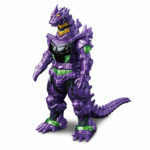 These large and highly detailed vinyl figures each come with different weapons backpacks – Unit 01’s is based on the version from Godzilla x Mechagodzilla while Unit 02’s is from Tokyo S.O.S. They are also only for the most dedicated of collectors, with a hefty price tag of 29,160 yen each. Both figures can be yours in November 2016. Be sure to check out the full image selection after the jump! 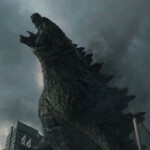 Godzilla will be making his roaring debut onto next gen consoles with a new video game coming out this summer! For those of us that are anticipating this release, new screenshots have been released courtesy of Bandai Namco Games. Here we see Godzilla himself battling against King Ghidora and Mecha Godzilla. 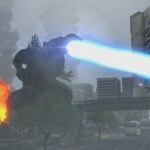 Godzilla The Game will be released July 1st 2015 for both PS3 and PS4 consoles. Scheduled for September 9, 2014, the lineup features the debut of three new Blu-ray sets featuring Toho films previously unavailable on Blu-ray in North America. The stand-alone title GODZILLA 2000 (1999) presents both the U.S. version of the film along with — for the first time in America — the original Japanese version. The Godzilla Double Feature contains GODZILLA, MOTHRA, AND KING GHIDORAH: GIANT MONSTERS ALL-OUT ATTACK (2001) and GODZILLA AGAINST MECHAGODZILLA (2002), and the REBIRTH OF MOTHRA TRILOGY features REBIRTH OF MOTHRA (1996) plus REBIRTH OF MOTHRA II (1997) and REBIRTH OF MOTHRA III (1998), marking the first ever home entertainment release of REBIRTH OF MOTHRA III in North America. Each film will be digitally remastered in High Definition and feature English and Japanese language audio options. All three Blu-ray releases come with UltraViolet. Start saving up, these Blu-ray sets are just 3 months away! Read on to see the covers. Before the epic crossover with our friends at RangerCommand comes out, we have some movie stuff to talk about! Join Chris (@rankal), Jordan (@DenO_TokuNation), and Tom (@SoulInkChu) as they discuss the Mighty Morphin Power Rangers movie reboot that was announced a couple weeks back, and then stick around as they discuss everything about the blockbuster hit Godzilla. NOTE! If you haven’t seen the new Godzilla movie, this podcast episode contains INCREDIBLY DETAILED SPOILERS! If you do not wish to be spoiled, do not listen to this episode. Or at least turn the Godzilla portion on mute! Episode details – the boys talk Mighty Morphin Power Rangers reboot, and two of the three podcasters think the movie will be a blockbuster flop. Hear their reasons as to why and as the lone podcaster who is hopeful tries his best to defend the franchise and the possible success of the movie. The boys then talk Godzilla – including the overall story of the movie, what worked and didn’t work, their favorite parts, and what monsters they’d like to see Godzilla take on in a sequel. There’s also a moment where Tom gets a little too excited about his trip to Japan and … well … you just have to hear it for yourself. Once you’ve listened to the episode, feel free to discuss it here on the TokuNation.com forums. And stay till the end of the episode to hear a special promo for the upcoming crossover with Ranger Command Power Hour. Part 1 will focus discussion on the pro’s and con’s of American tokusatsu, namely Power Rangers, while part 2 (the next episode of Talkin Toku) will feature the pro’s and con’s of Japanese tokusatsu, namely Super Sentai and Kamen Rider. See you then, and take a listen to the episode below! Click here to download the podcast directly! Click here to check us out on iTunes! Talkin Toku on Facebook – Facebook.com/TalkinToku – “Like” us for special updates!